The Lord said to His disciples: “Follow Me.” And with these two short words, they left everything behind, and followed Him. “The saints enjoy blessedness because God is blessed. From them comes light for men. Through them the power of God is revealed. Saints retain all that is characteristic of the human condition; they know everything that pertains to us. They are near to God, but they are also near to us; they walked and lived among us. 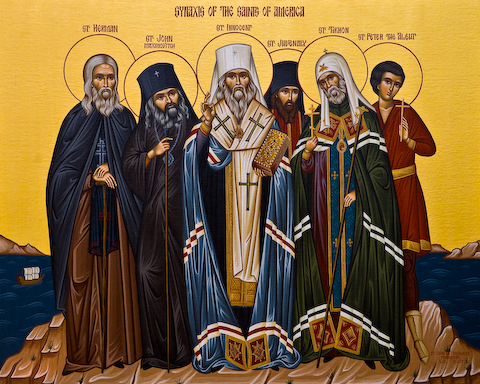 The people of Holy Russia venerated them, kissed their icons and holy relics, wanted to be as close as possible to the saints, and by touching that holiness, the Russian land was filled with it…(But) do not think that contact with holiness is the fate of only the Russian nation. No! 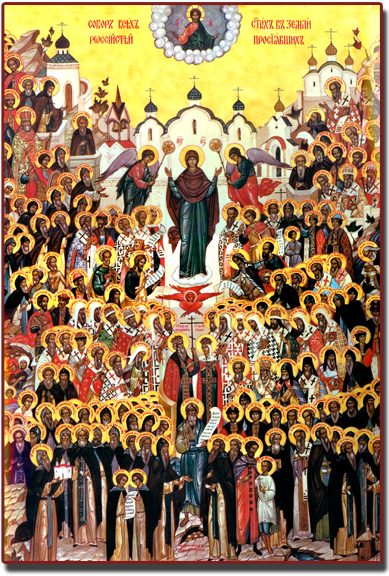 All peoples can live in the Spirit in which Holy Russia lived and continues to live. And when they do, they shall draw near and begin to understand each other.” These are important words for us today as Americans.